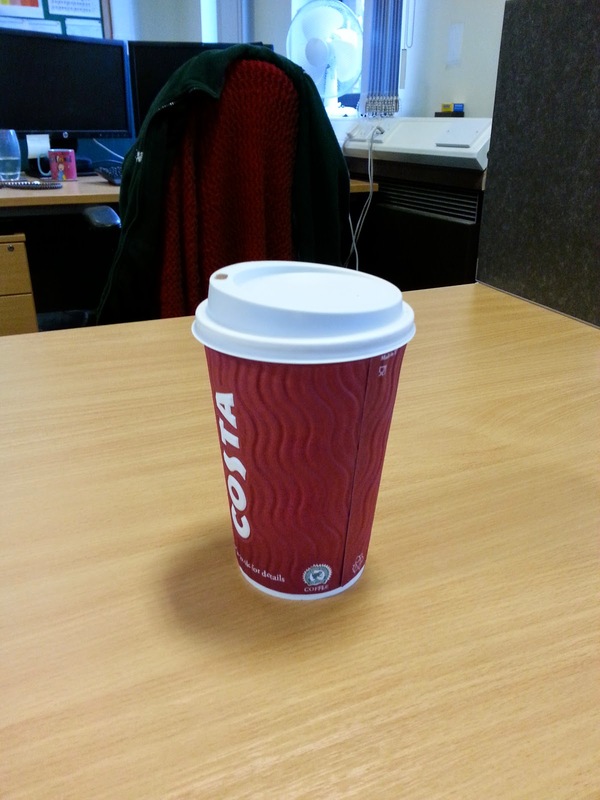 On Friday I stopped at the coffee shop (I don't know why I'm being unspecific, I went to Costa, other coffee providers are available but Costa is the closest one to work, and they're open when I go to work, so I went there) and got a drink. Mainly because I fancied one, but also being it meant that I felt a little bit like Gibbs of NCIS, being able to march into working, clutching a hot drink, ready to do business. Although the look was probably thrown off a little bit by the drink being a hot chocolate, and by me also clutching a bag with a piece of Tiffin in. While I'm talking about Gibbs, what's the deal with Norfolk? You know how an episode of NCIS starts (well if you're addicted to the show like I am you will), basically Tony looks all smug and makes some kind of wisecrack about McGee being a geek, Ziva/Kate shoots Tony being with an epic remark, then Gibbs marches in, and says "Grab your gear - dead marine in Norfolk"
Why Norfolk? Why is Norfolk, the fairly quiet rural county to the east of England, so popular for marines getting murdered? Are they choking on insufficiently cooked asparagus? Finally, many thanks to all that have watched my World of Warcraft video. It's become one of my most viewed videos which makes the effort worthwhile. And thanks again to Andy for helping make it. Did you slap someone in the back of the head?